Aheadworks is one of the leading extension providers for both Magento 2 and Magento 1. The company works with thousands of e-commerce merchants all over the world and constantly creates new tools and user-friendly offers. This time our attention has been captured by Aheadworks Magento 2 Pack Builder – a flexible discount system and a handy tool. 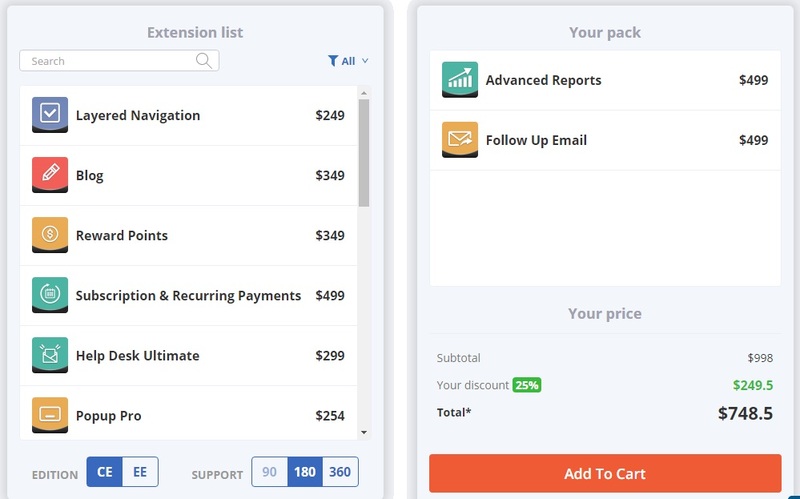 Below, we shed light on it and provide several examples of useful Magento 2 extension packs. In one of our posts, we’ve already mentioned that one of the biggest drawbacks related to Aheadworks Magento 2 modules is their price – it is much higher than the average one. Of course, if you are already a company’s M1 client, Aheadworks offers a 50% discount on its Magento 2 modules, but there are lots of merchants who have never tried company’s products or are new to the whole Magento ecosystem. Chances are, they won’t be satisfied with a high (but always reasonable) price and chose another developer. Until now, because today Aheadworks offers a completely new product – Magento 2 Pack Builder. It’s rather a service than a product, but this doesn’t matter, because everyone can create a custom pack of Aheadworks Magento 2 modules and purchase it with a great discount. While Magento 1 clients of Aheadworks get 50% off, with Magento 2 Pack Builder, you can buy extension with a 55% discount! Sounds really intriguing, so let’s see how the new product/service is organized. Aheadworks Magento 2 Pack Builder offers a flexible discount system. The more extensions you purchase, the more essential discount you get. Thus, by creating a pack that consists of 2 modules, you will get a 25% discount. It’s the minimum number of modules in the pack and the smallest discount. For instance, you want to buy Advanced Reports and Follow Up Email Magento 2 extensions. Both tools cost $499, so the subtotal is $998. But if you use Magento 2 Pack Builder, you can combine both solutions in a pack. Just drag&drop them from the extension list on the left to “Your Pack” section on the right. Your discount will be 25% which is $249.5 for the aforementioned subtotal. As a result, Aheadworks provides you with the ability to purchase Advanced Reports and Follow Up Email for $748.5 instead of $998. And don’t forget that 25% is the lowest discount you can get with the Builder. Let’s add the Subscription and Recurring Payments Magento 2 extension to the pack. Its original price is also $499, but since there are already 2 modules in the pack, you get a 40% discount. Thus, the new price is $299.4 and your saving is $199.6. The subtotal for all three modules is $1497, but since you have a 40% discount – 598.8 bucks! – the total amount you will spend on Advanced Reports, Follow Up Email, and Subscription and Recurring Payments is $898.2. And this is just the beginning! Now, we should select another Magento 2 module. Let it be Automatic Related Products – a tool that dramatically improves the way you create product relations. 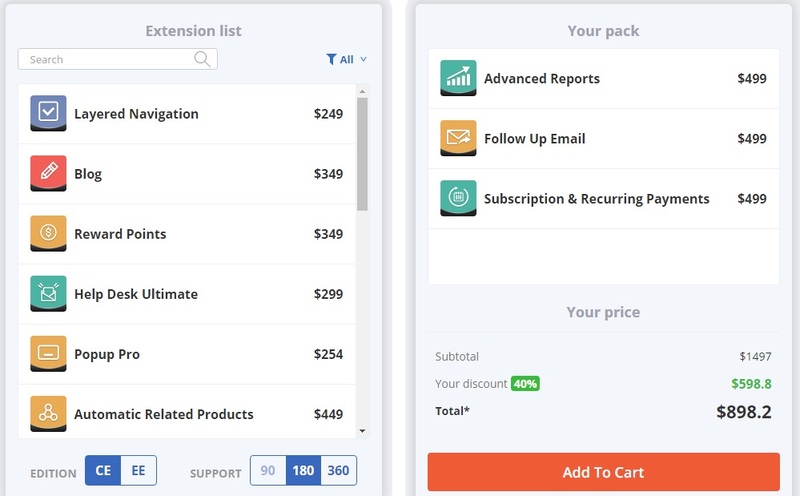 Its price is also $499, but since it is the fourth extension in the pack, you get a 45% discount for the whole pack. It means that the discount for Automatic Related Products is $224.55 and its new price is $274.45. What about the whole pack? AheadWorks Magento 2 Pack Builder allows you to save $875.7 by purchasing the aforementioned 4 modules together. The new total is $1070.3 instead of $1946. As for 5 modules combined in a pack, Aheadworks offers a 50% discount. Add the Gift Card Magento 2 module to the aforementioned solution and you will purchase it for $199.5 instead of $399. And this is the average market price for the extension of such kind. As for the whole pack, it can be purchased for $1172.5 instead of $2345, but this is not the highest possible discount. Let’s see how adding Product Questions ($399) will change the situation. 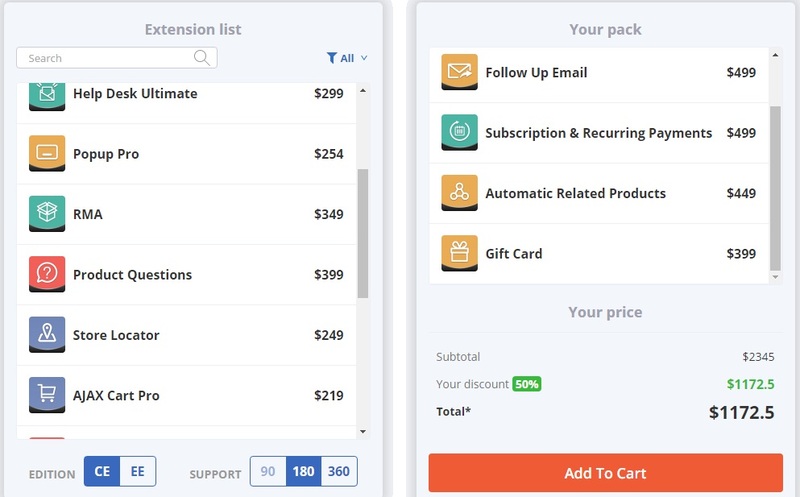 A 55% discount is applied to each extension from the pack! Instead of $2744, you have to spend just $1234.8 saving $1509.2. Thus, the price of Advanced Reports, Follow Up Email, Subscription and Recurring Payments, and Automatic Related Products is reduced to $224.55 from $499 and the price of Gift Card and Product Questions – to 179.55 from $399. 55% discount on 5+ Magento 2 modules. Now, we’d like to draw your attention to several popular packs. The Admin pack includes Advanced Reports, Help Desk Ultimate, RMA, and Coupon Code Generator. The subtotal if you don’t use Pack Builder is $1346. With the Builder, your discount is 45% – 605.7 bucks for the Admin pack. The new total is just $740.3. The User Experience pack also includes 4 extensions: Layered Navigation, Store Locator, Social Login, and AJAX Cart Pro. The subtotal is $966, but with Aheadworks Magento 2 Pack Builder you can save $434.7 (45% since there are 4 modules in the pack). The new total is only $531.3. 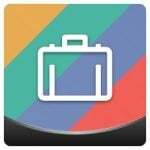 The Sales & Motivation pack consists of 7 modules, so you get the maximum possible discount – 55%. Tools in the pack are: Follow Up Email, Reward Points, Automatic Related Products, Who Viewed This Also Viewed, Who Bought This Also Bought, Gift Card, and Popup. The subtotal of these modules is $2410, but if you purchase them as a pack, the price tag is $1084.5 – you save $1325.5. Feel free to create any pack that will satisfy your exact ecommerce needs! And it is possible to combine several packs or create packs that contain extensions from different groups. And now, let’s tell a few words about the Aheadworks Magento 2 Pack Builder usability. The service is divided into 2 panels: Extension List and Your Pack. The first one allows you to select extensions, choose Magento 2 edition, and specify the duration of support. You can leverage a search field and the ability to filter out extensions according to their group: Admin, User Experience, Sales & Motivation, Content Management, Subscription, and Recurring Payments. All extensions are displayed by default. In Your Pack, there is an area where you drag&drop extensions from the left panel. Besides, it has Your Price section that illustrates Subtotal, Your discount, and Total. There is the Add To Cart button below. The Aheadworks Builder is based on AJAX, so all values from Your Price section are updated rapidly and without reloads. The usability of the new service is excellent, but we think it lacks two things. First of all, it would be great to have a button that refreshes the right panel moving all selected extensions back to the left panel. Besides, we’d like to see a button in front of each extension that moves each extension between sections individually as a drag&drop alternative. Have any questions or proposals? Let us know in comments.